If there’s one sport that defines life completely, then it’s definitely boxing. Can you argue with that? I doubt it. Boxing has everything that life expects from us. Focus, strength, endurance, willpower, and above all never-say-die attitude. Just like boxing, our life also comes in rounds with the only difference that our opponent is not some other person but our own future. The moment you give up, you lose. However, if you fight till the end, even if you don’t reach the desired goal, you will definitely reach somewhere. The most important lesson that boxing gives is to no matter how many times life knocks you down on the floor, you will only lose if you fail to get up and keep going. And, this is the reason, no matter how extreme or wild the sport is, the movies based on boxing are always touching and often remain close to our hearts. 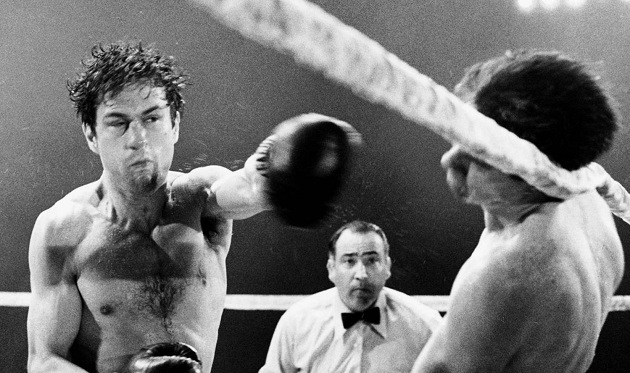 Today, as a tribute to boxing, I present a good list of must-watch boxing movies of all time. The Champ is a 1931 American drama film based around boxing. 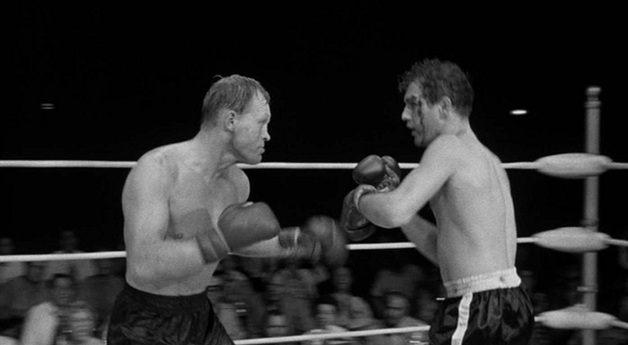 Directed by King Vidor, the film talks about the story of a boxer, who is struggling with his life to make amends for his young son while fighting through his addicted to alcohol and gambling. 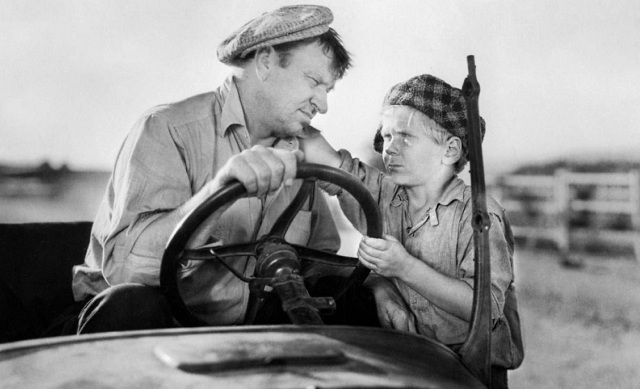 Starring Wallace Beery and Jackie Cooper as father and son duo, the film is a pure classic and won many awards and accolades including an Oscar by Beery for Best Actor as well as Marion for Best Story at the 5th Academy Awards. A classic movie about boxing, Body, and Soul was released in the year 1947. 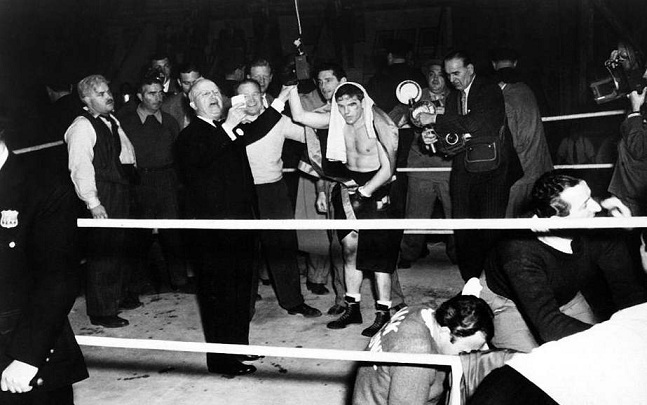 The movie is directed by Robert Rossen and written by Abraham Polonsky, who try to convey a story about a boxer’s life and what ends a common man could go as the success and money start pouring in his life. The film stars John Garfield as the lead character, Charles Davis, along with a supporting cast comprising of Lilli Palmer, Hazel Brooks, Anne Revere, and William Conrad. 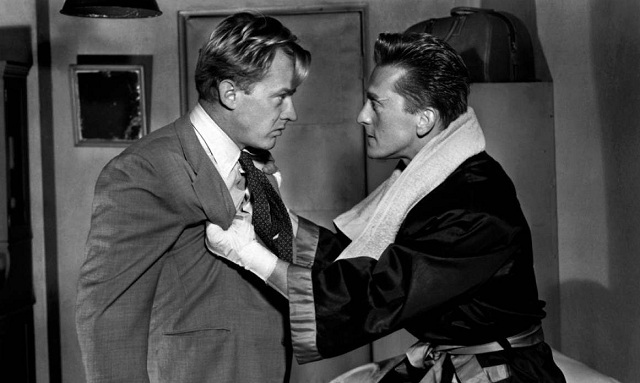 The Set-Up, released in 1949, is an emotional drama based on the life of a 35-year old boxer, whose career is on the decline. 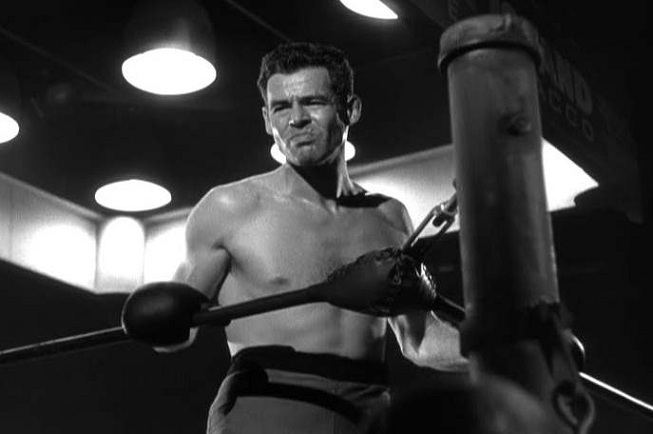 Directed by Robert Wise, the film stars Robert Ryan as Bill “Stoker” Thompson and focuses on the life struggles of a boxer including failure, betrayal, and relationship etc. However, being a boxer at heart, he fights all the struggles and eventually comes out a winner. One must watch this classic flick on boxing to understand the closer reality of the life of a boxer or any sportsman at the time of their decline. With the history of this popular sport, it’s no surprise that boxing is something that is played both inside and outside the ring. The best example of this is displayed in the 1949 American film noir, Champion starring Kirk Douglas as the lead character Midge Kelly. The film talks about the struggles and choices of the rising boxer Midge, who is fighting his own demons while rising to fame and success in the boxing ring. 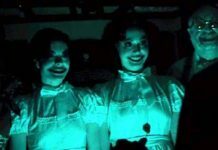 Directed by Mark Robson, the film is inspired by a short story by Ring Lardner. Based on the life of middleweight boxing legend Rocky Graziano, Somebody Up There Likes Me is the first biographical film on our list of movies about boxing. The film was released in 1956 and starred Paul Newman as Rocky Graziano. Directed by Robert Wise, the film is centered around the life of Rocky Graziano and his boxing career, especially the struggles he faced to reach the top of the ladder in his career. The film was so highly acclaimed that it also won 2 Oscars at the 29th Academy Awards. The film adaptation of the famous teleplay written by Rod Serling. 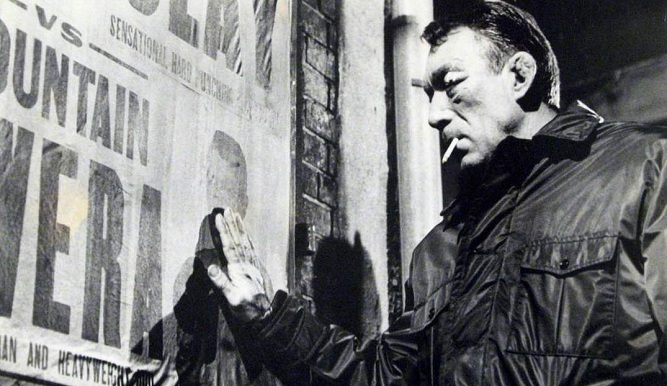 Requiem for a Heavy Weight is a 1962 film starring Anthony Quinn in the lead role as Luis ‘Mountain’ Rivera, alongside a supporting cast comprising of Jackie Gleason, Mickey Rooney, Julie Harris in addition to the boxing legend Cassius Clay, later known as Muhammad Ali, in a cameo appearance. 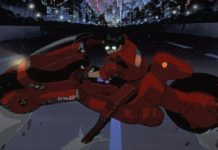 Although the movie is centered around a boxer, there’s not much boxing in the film. The film revolves around the life struggles faced by Mountain and how he cope up with them and at the end with a broken heart quits the real fighting sports boxing and joins the staged, predetermined professional wrestling. 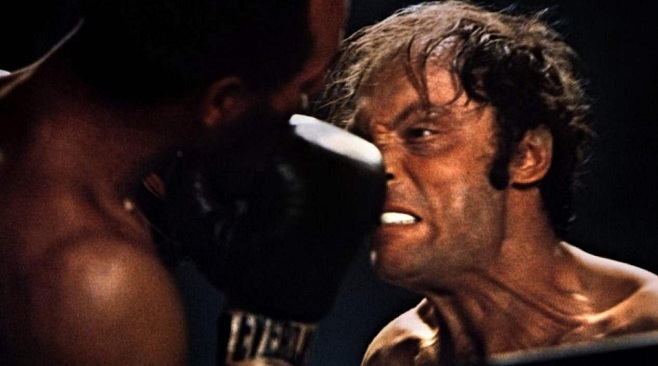 Based on Leonard Gardner’s novel of the same title, Fat City is a 1972 boxing drama film directed by John Huston. The film is centered around Billy Tully, portrayed by Stacy Keech, who once again gives a shot at the boxing career. 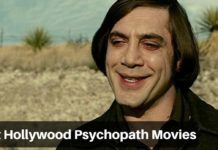 He takes the decision as he gets inspired after seeing the potential and determination of a young teenage boxer Ernie Munger, played by Jeff Bridges, at the same gym he trains in California. The rest of the story sheds light on how the career of a boxer ends while the other young boxer begins. 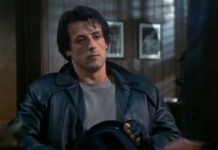 Any list of boxing movies is incomplete without the inclusion of the films featuring Rocky Balboa, popularized by Sylvester Stallone. In the history of cinema and the genre of sports drama, there’s an era before and after the first installment of Rocky that was released in 1976 and his run of the boxing saga continued till the last film featuring Rocky in the lead role that was released in 2006. 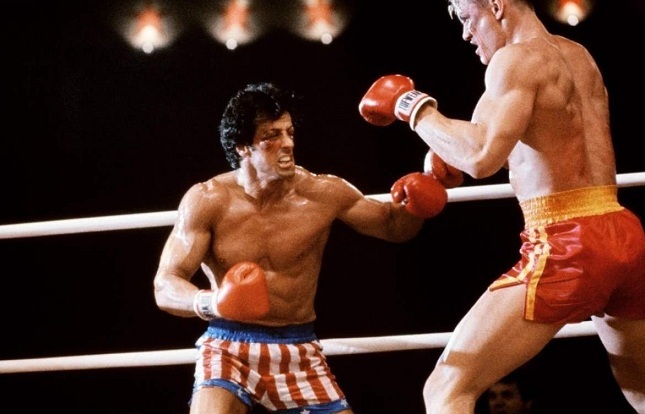 The reason why Rocky movies stay on top in our hearts is that the complete series is a pure symbol of determination, motivation, inspiration and the will to survive. Directed, written and featuring in the titular role, Sylvester Stallone pays one of the best homages to the art of boxing and the struggles faced by boxing legends. Rocky Series is one of the best Motivational Films of all the time. Starring Robert De Niro in the lead role, Raging Bull is a biographical sports drama film about Jake LaMotta based on the boxing legend’s memoir Raging Bull: My Story. Directed by Martin Scorsese, the film talks about the life of Jake LaMotta, an Italian American middleweight boxer, who struggles with his inner demons which ruin his relationship with his wife and kids as well as his overall life Raging Bull is one of the Best Boxing Movies of All Time. 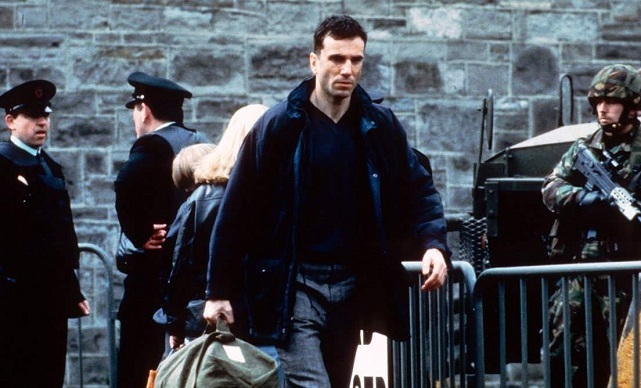 The Boxer is a 1997 film centered upon the life of a boxer and a former Provisional IRA volunteer Danny Flynn, portrayed by Day-Lewis, who has spent a good 14-year stint in prison for the most of his youthful days. However, he has decided to part ways with IRA, Danny plans to lead a simple life and starts training at a non-sectarian boxing club for boys. 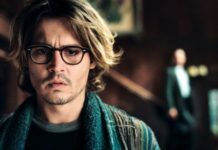 But, the IRA ties that he left behind doesn’t leave him alone and the rest of the story forms how his love affair with an old flame, Maggie, played by Emily Watson, and few minor tussles between IRA members puts his life in danger and how he makes it out of it. Based on the life of boxing legend, Rubin Carter, The Hurricane is a 1999 biographical sports drama directed by Norman Jewison. 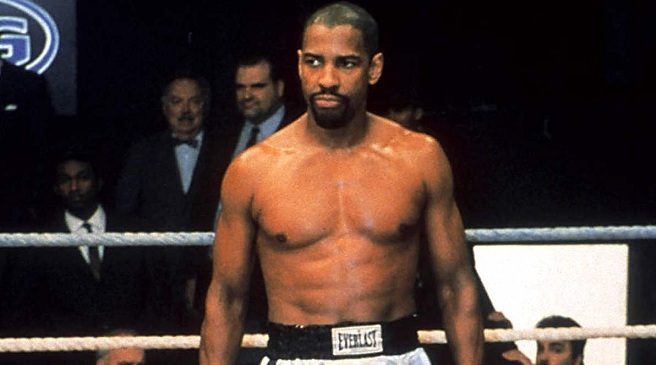 The film stars Denzel Washington in the lead role as Rubin “Hurricane” Carter and the screenplay was adapted from Carter’s autobiography The Sixteenth Round: From Number 1 Contender To #45472 as well as Lazarus and the Hurricane: The Freeing of Rubin “Hurricane” Carter written by Sam Chaiton and Terry Swinton. The film narrates the story of Carter’s arrest, his life in prison and how he was freed. Girlfight is a 2000 American sports drama film that depicts the challenges faced by a female boxer in a male-dominated sport in that era. Girlfight is a Female Boxing film. 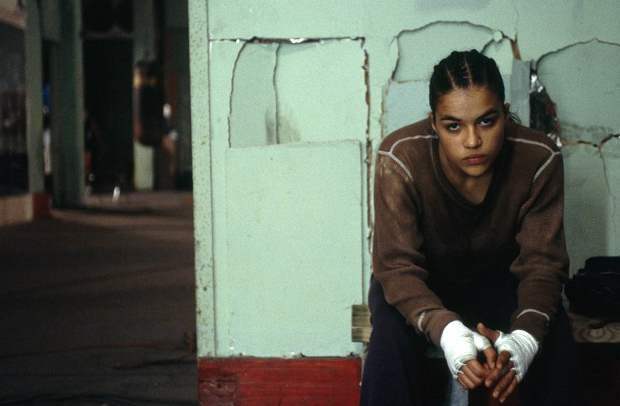 Starring Michelle Rodriguez in the lead role as Diana Guzman, the film is centered around her life and her struggles when she tries to channel her aggression by training rigorously in boxing against the disapproval of both her father and her prospective trainers. Directed by Karyn Kusama, the film also sheds light on the mentality towards female sportsperson in the industry.